The sound is awesome, IRs up to 60 seconds long are supported, and the negligible latency is impressive - it's absolutely worth seven quid for all that alone. Great sound. Can handle long IRs. Low latency. Can't compete with Altispace's interface. 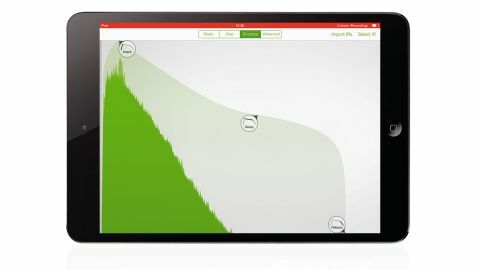 A new convolution reverb for iPhone, iPad and iPod touch from the creators of the Reverberate plugin (and Computer Music's own edition, of course), Mobile Convolution makes applying impulse responses (true stereo ones at that) to your Audiobus and Inter-App Audio DAWs and instruments a very straightforward affair. "The sound is awesome, IRs up to 60 seconds long are supported, and the negligible latency is impressive"
50 excellent IRs are included, and more can be easily added by various means. Editing is basic, limited to cropping the start and end of the IR, adjusting an ADR envelope, and stretching the IR from 7-500%. However, it falls rather short of its only current competitor, Altispace (http://www.musicradar.com/reviews/tech/imusicalbum-altispace-606806), in terms of interface, features and price (although the £2 difference isn't exactly a big deal). Ultimately, we'd recommend getting both! v1.1 of Mobile Convolution should be available by the time you read this, incidentally, adding pre-delay and three-band EQ, and another 30 seconds of maximum IR length.